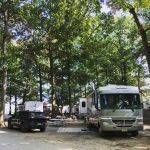 Ask fellow campers about "Deep Branch Family Campground" and nearby attractions. 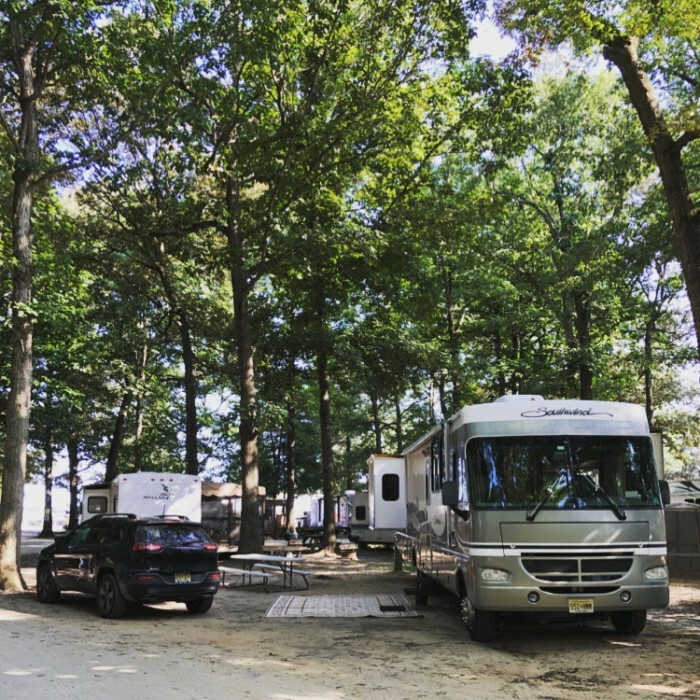 This campground has both wooded sites and sites in an open field. There are no full hookups, but there is a free pump-out service that can be requested with a maximum of 24-hour notice (Several times I saw the "honey wagon" driving through the park and simply flagged them down when I needed a pump out). The staff is friendly and helpful. There is a small cafe in the office, firewood for sale, and a nice swimming pool. A short drive to shore destinations. Shopping and good restaurants nearby. Most of the sites are rented seasonally with many transient sites in the open area, but others scattered throughout the wooded area. Because of the great price it may be hard to book on weekends during the high season. DOG OWNERS be aware that the campground requires proof of rabies vaccination. We camped at Deep Branch Family Campground in a Motorhome. Are you affiliated with Deep Branch Family Campground ?